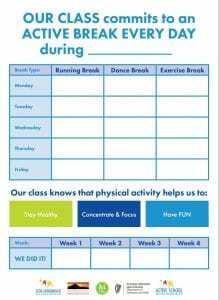 We are excited about our commitment to incorporate multiple exercise breaks into our daily routines. We have always been very good at doing exercise breaks to reinvigorate our bodies and minds but for the month of February, we aim to get 3 varied exercise breaks into our day. If you fancy trying out some of our dance breaks, check out the following example of brain breaks by the Learning Station. Plenty of fun promised!something all the family can do together!